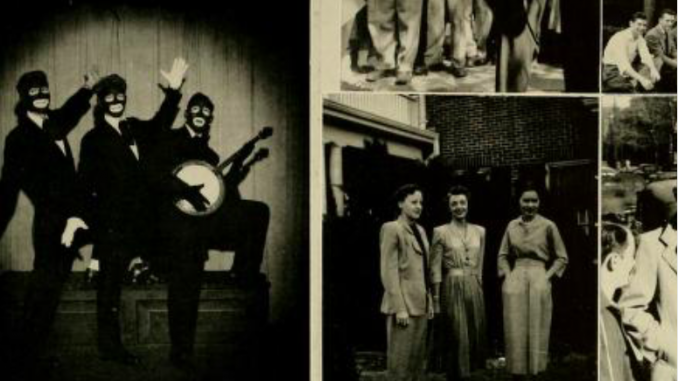 Yearbooks from the Richmond Professional Institute and the Medical College of Virginia are littered with racist photos, some published as recently as 1989. Images include blackface, a “slave sale” at the Future Business Leaders of America Club and derogatory remarks toward Asian-Americans. RPI and MCV merged in 1968 to become VCU. The editor of the 1989 yearbook that features blackface photos in a Halloween spread is listed as Betsy Lee. The colophon page of the yearbook labels her as a class of 1990 dentistry student. Charles Decker is listed as the editor of the 1952 “Wigwam,” which featured a group photo of people in blackface dressed as “savages,” as described in the caption. M.D. Friedenberg is shown as the editor of the 1947 edition of the MCV “X-Ray,” featuring a man in blackface in a hat wearing a cane. The issue also featured two white students pointing a rifle and a Japanese flag at a student who appears to be Asian. The CT has been unable to verify the identities of the yearbook editors. These images from 1989 were published in MCV’s X-Ray. In the bottom left photo, one student is shown in blackface and an afro wig. Photo obtained from VCU Special Collection and Archives. The exposure of these yearbook photos comes one week after Virginia Gov. Ralph Northam’s racist yearbook photo was leaked. At a Feb. 2 press conference, Northam admitted to “darkening” his face with shoe polish as part of a Michael Jackson costume in 1984, but did not classify the incident as blackface. Adding to the crisis among Virginian Democrats, Attorney General Mark Herring announced he once used blackface as part of a costume. 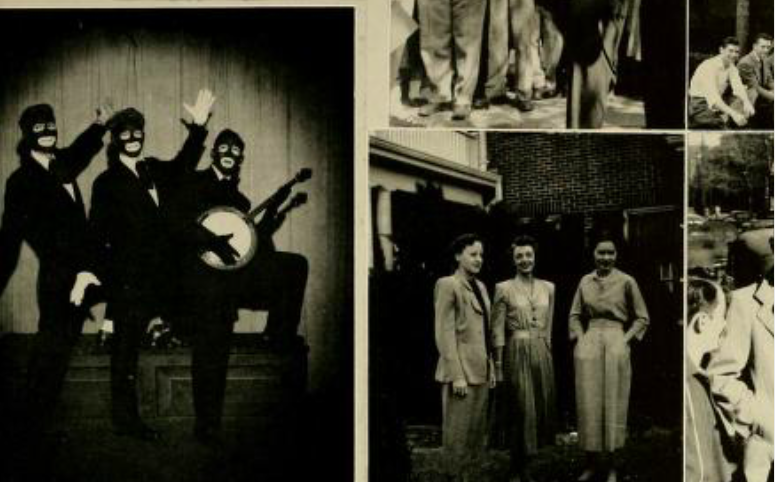 The Virginian-Pilot reported that Virginia Senate Majority Leader Tommy Norment was an editor for a VMI yearbook littered with blackface and racial slurs. The first African-American student, Jean Harris, was admitted to MCV in 1950. Harris later became the Virginia Secretary of Health and Human Resources. In the 18th and 19th centuries, MCV used black people’s bodies dug up from cemeteries by grave robbers for medical research. The events of the past week have led many at VCU to reflect on behaviors, past and present, and whether they are consistent with our mission and values in serving the public good. There is no excuse for callous indifference toward one another, whether evidenced in a yearbook from decades ago or today in a social media post. As individuals we must recognize the impact of our actions and move forward in everything we do to honor all people with dignity and respect. – University spokesperson Michael Porter. The CT obtained all photos from VCU’s Special Collection and Archives. Updated Saturday, Feb. 9 at 11:15 a.m. But you know? This just lets you know how Far VCU has come. Growing up in a horribly racist environment, attending VCU was such an amazing an eye opening experience. I saw so much diversity and felt so accepted. It was the most amazing time of my life and such an impactful one. The people I met, the love and acceptance, I felt has only been beat out by my own family I have created. Yes, VCU had a horrid past in race relations. But the people who have filtered through have changed that culture into a college that is multicultural and so loving.